This is a super easy and quick spring wreath that I made to use on my newly painted china cabinet. I’m going to decorate it for Easter next week and wanted a wreath to hang on the glass door. It literally took me about 20 minutes to make this wreath! I actually bought a 6″ styrofoam wreath. Which is amazing because the last few wreaths I’ve made I used either cardboard, posterboard or cereal box for my wreath shape. Which you most certainly can do instead of buying a wreath form. Don’t let not having a wreath form stop you from making a wreath! I wanted a styrofoam one because I planned on sticking things in it but gluing is an option too. I looked all over Michael’s and Hobby Lobby for something that would give me a spring grass look/feel. I found some Haute Fur/Fun Fur yarn or I think it’s also called eyelash yarn that has fuzzy ends that would look like grass. But it’s very thin and was $6.99 for a skein. 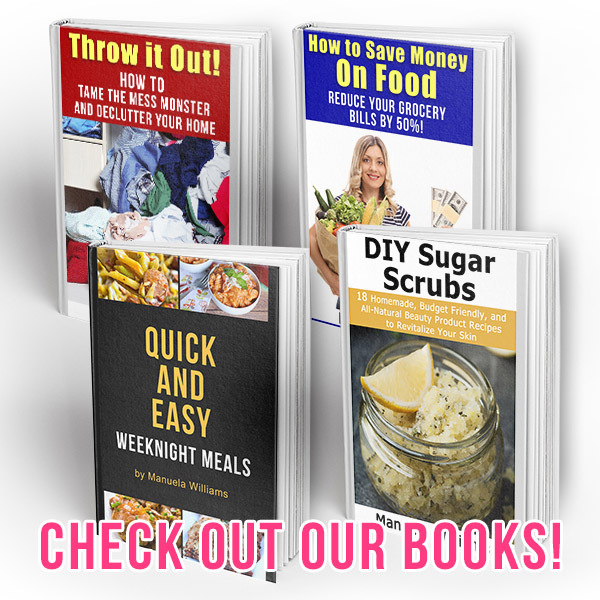 But if you can get it on a good sale that might be another good option. There were also grassy looking plastic vines in the faux flower section that would be good to use especially if you were going to hang it outside on your front door. Most places have their Easter stuff on sale. At Hobby Lobby things were 40% off plus I used a coupon for the wreath. 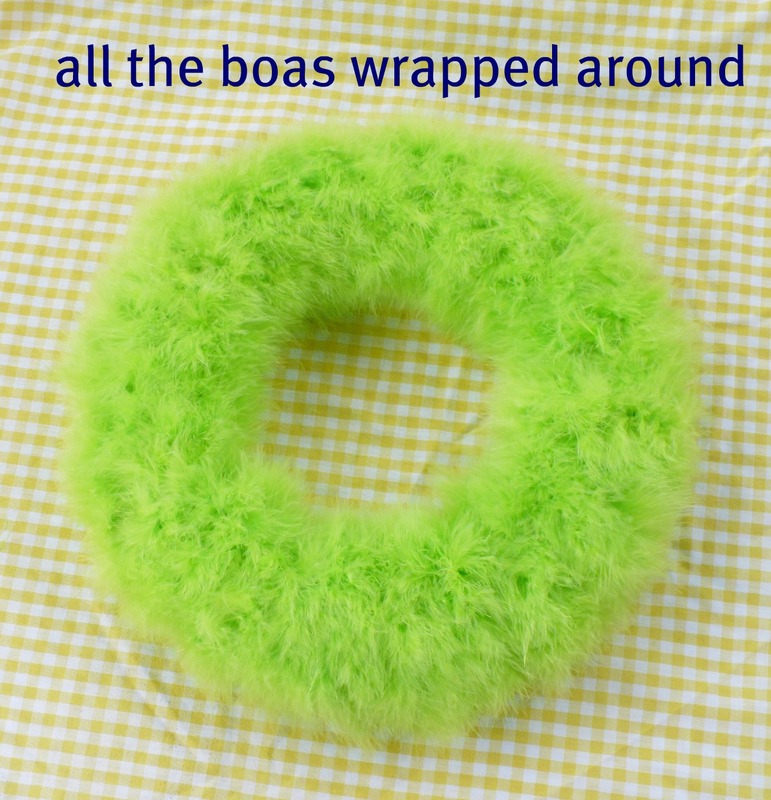 Wind the green boa around and through your wreath. I just tucked the ends in the back because I have every intention of using this wreath form over (and probably over and over) again cause I’m just frugal like that. I want to be able to remove the boas. But you can of course use a bit of glue to secure things. It actually looks very nice and spring like just like this. Place your nest where you want it. I secured mine by poking a paper clip through the nest into the Styrofoam. Then I placed my chicks in the nest. They have plastic feet that naturally hook into the nest material (or use a dab of hot glue). So far I’ve used no glue! The last step is to decide where you want your flowers. I decided to group them all together on one side. Those you just poke into the foam. 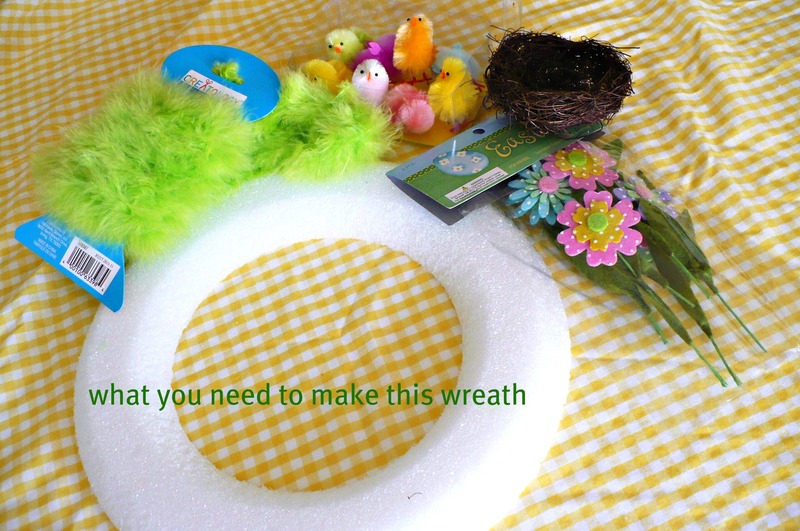 The great thing about using the foam wreath & picks is that it’s easy to move things around. I’ll hang it from a pretty ribbon on my china cabinet next week. 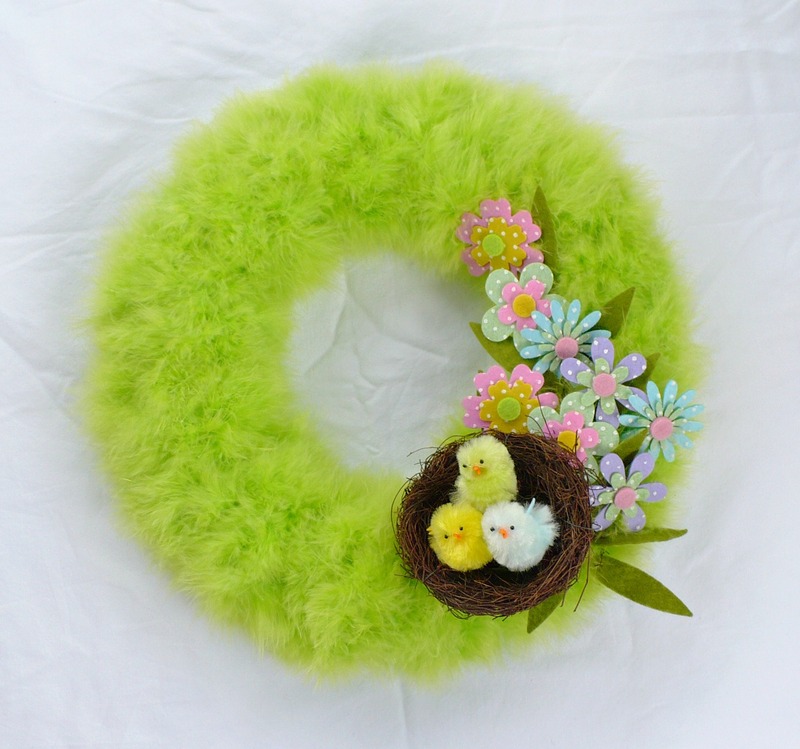 This THE easiest Spring Wreath I ever made! Cuuuuuuuuuuuuuuuuute!!! I love it!! Great job, I love the fuzzy material, what a perfect idea to wrap it around the styrofoam ring. I love that — and it’s so simple and fresh looking. No glue sounds very good — I’m thinking me, glue, and feather boas would NOT be a good mix. How cute and it definitely says Spring! That is adorable! 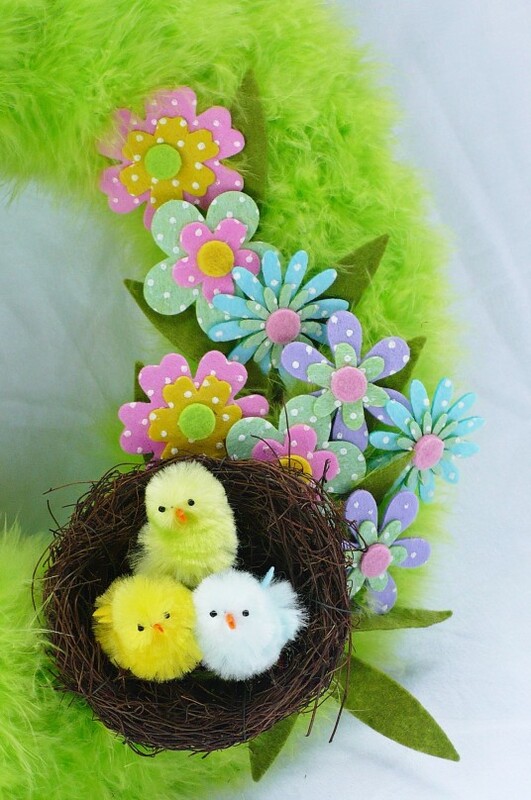 Very Spring like….my daughter would love this to make for her front door! How cute! 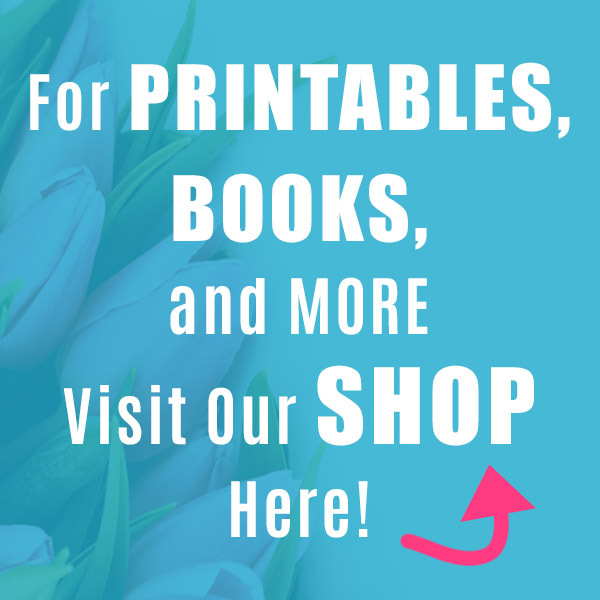 It’s so easy and perfect for Spring! Thanks for sharing and have a lovely weekend. 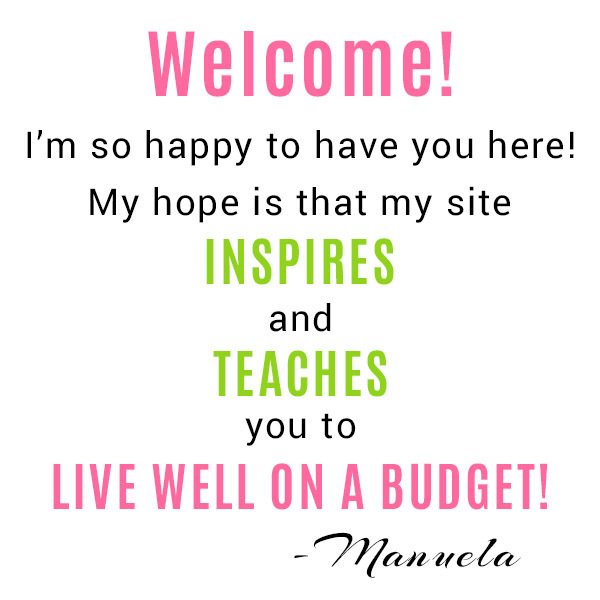 That is so pretty Manuela, thanks so much for explaining how you made it. Beautiful and looks like EVEN I could do this:) Thanks for sharing! HUGS! That is so cute, Manuela! 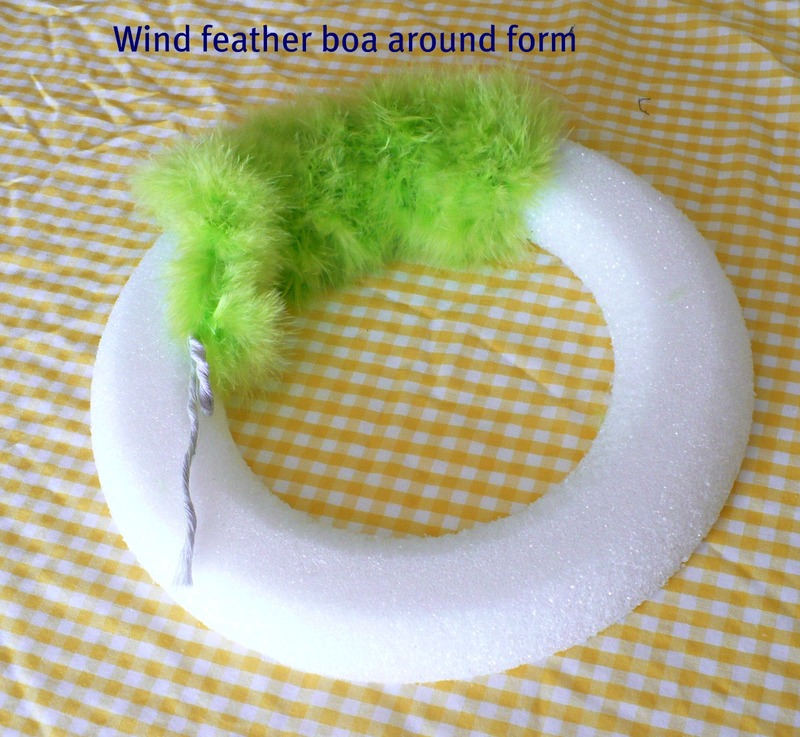 I did a white feather boa one ~ I think two Christmas’ ago, but I like this green much better! White is perfect for Christmas! I liked the green for spring since it reminds of the Easter grass. Very cute idea. I love it. This is so cute! 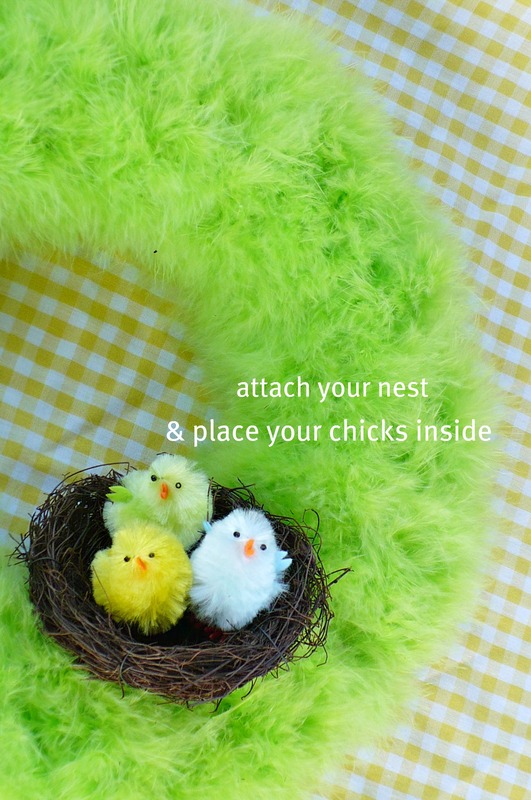 I especially love the little chicks in the nest!! How Cute!! I want to make one this weekend! Great color for the boa’s. Enjoy the warm weather and sunshine in the next few days! I’m so excited to get out in the yard! 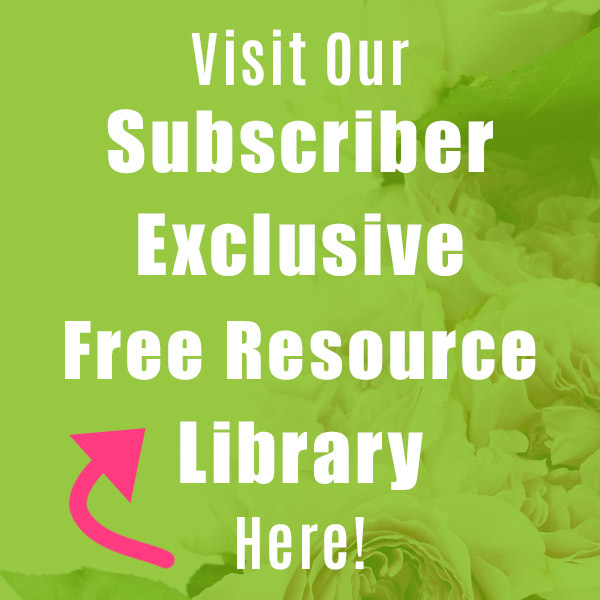 a cute and happy idea; this should look adorable on your hutch! Love this! You did such a great job on your wreath. I need to make a wreath for our front door. Love the idea of the little chicks! PS Thanks for the info on your dishes. I looked all over to see if the ones with the red checked edges were still available. But they aren’t….but thank you for telling me! Your Spring-y green wreath was so cute. Loved the dotted pastel flowers and chicks in the nest. It brought a smile to my face. I believe that Spring has almost sprung. Oh my goodness I love this wreath! So fun and fluffy! 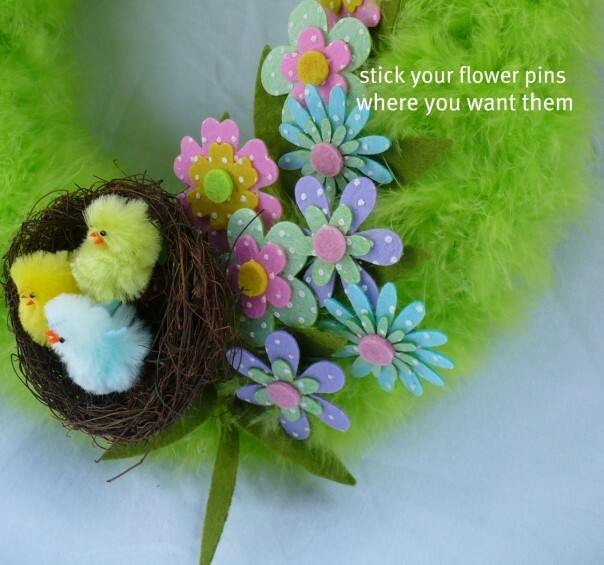 I hope you will link up at my Hippity Hop Easter Project Hop!